THE “SEE YOU JIMMIES” ARE GETTING READY TO RUMBLE. My repeated predictions about public disorder when the separatists lose are right on track. The closer we get to their day of reckoning the more deranged they become, the real violence is not far away now, a couple of bad polls for the snp could see it kick off. The Buckfast has been stored away, the wee chibs that they plank down their socks are in place, the clubs and knuckle dusters are at the ready, the tartanshirts are whipping themselves in to an anti English frenzy, an English accent will be very dangerous and even if you don’t have an English accent they might just decide that you look! English, I bet you didn’t know they could do that did you?, well they can, at least they say they can, how long will it be before the eggs being thrown become stones and bottles?, I hope the 'Polis' are ready for them. The situation is very tense and worrying and the refusal to denounce what their snp supporters are doing by the separatist contributors on radio, TV and the press is a reminder of how deep the hatred is among them. We have been heading for this for a long time thanks to alex salmond and the snp. Their constant anti English propaganda and sniping and sneering at the English would eventually end in serious trouble and that is now starting. If anyone lands in the dock it should be salmond but we all know that is not going to happen. I would bet that in this case he does in fact have a 'plan B' and you won't see his heels for the dust, while his ‘useful idiots’ charge at the guns. By using U Tube you can type in “Jim Murphy’s street meetings” and be prepared to be shocked. You will not find an uglier dumber more nasty mob than the snp hooligans who are being organised by their leaders to disrupt Murphy’s meetings, Disrupt in fact hardly describes it, make no mistake, what you will see is the very worst of Scottish people. A gang who are out of control and who also manage to look like the discarded extras from the Pirates of the Caribbean, the ones who were turned down for being too upsetting to show in the movie. First minister salmond has managed to generate a climate of hatred among fellow Scots. that will last decades, not only will he lose but, that will be his shameful legacy. SALMOND AND THE SNP SHOW THEIR UGLY SIDE AS IT STARTS TO LOOK ALL OVER. By telling us that the Scottish electorate would be more inclined to vote yes after Monday night's debate, Ian Bell (The Glasgow Herald) rather suggests that Scottish voters are a bit lumpen, he is insulting us by suggesting that we would take much if anything relating to information from it. Mr. salmond lost the first debate because his intrinsic hubris led him to believe that he could give Alastair Darling a level playing field and still beat him. The effect that that mistake had on him and how it formulated his tactics for the second debate was plainly and embarrassingly obvious. He knew that he could not survive another defeat and that made him nervous and painfully aware that another level playing field was a risk to far. He was clearly determined to make sure that this debate would be a strident embarrassing fiasco thus ensuring that he could claim no matter what happened that he did not lose. I am confident that those like Mr. Bell and the audience in the hall will be a small minority who think that way. The whole debacle finished up looking like Jim Murphy's street discussion with the urbane and sophisticated snp voters of Motherwell. This ugly and squalid confrontation can be accessed using the internet/U Tube etc. It is a very accurate and very chilling example of where we are heading if we vote yes. The people you will see really have to be seen to be believed, if I were to try to describe them to you accurately many of you would think I was exaggerating, such was their behaviour. Have a look for yourselves and remember when you do that these people are not a small minority, they are not unusual at all, they are in fact typical of the rank and file members of the snp. Watch it and reflect on what these thugs and hooligans are going to be like when they are beaten in the referendum, they are not likely to say congratulations old chap to their victorious opponents. Scotland is heading in to a dark sinister place, it is too late to stop it now, it will be bad but, impossible to say just how bad. The credulous snp crazies who are now on the edge of rage and paranoia will take defeat very badly and someone will no doubt pay the price, it is to be hoped that English people in Scotland or even Scottish people with a trace of an English accent have voted by post, Scotland will not be a safe place for them for a while. This unsavoury and dangerous situation is down to how the snp leaders have been calculatingly stirring up hatred of the English among their simple and naive followers for years, followers who in some cases will be only too willing to shed blood for ‘bonnie Scotland’ eager to become martyrs that’s how ‘loosely wrapped’ some of them are. The main culprit in all of this is of course the malicious and highly deceitful alex salmond who will be only too happy to “haud the jaikets” while his mob go off the rails. He is a clever if fatally flawed man who knows what he is doing but he has gone too far to stop it now, he knows that it is far easier to start a riot than it is to stop one but he will already have his ‘get out of jail card’. An exit from politics and a bestselling autobiography to write, no doubt from warmer climes is my guess, and I very much doubt that he will lose any sleep over the damage he has done and the hatred he has left behind. With apologies to T.S. Elliot he will go out “not with a bang but with a whimper”. GAZA, THE LONE TORY AND THE LONE LIBDEM + THE END OF THE REFERENDUM FIGHT FOR THE SNP. Renfrewshire Council, 09.30 am Thursday August 14 - 2014 and a special full council meeting gets underway. Only two items on the agenda. 1/ a council donation to help with medical aide to Gaza and 2/ A proposal for Renfrewshire to sign up to what is called The City Deal. There was also another noteworthy fact associated with this particular day; it was the last full council before the referendum and we saw or rather didn’t see something extraordinary. Among our snp opponents there are some what we used to call ‘bampots’, knuckle dragging types who foam at the mouth when they hear the words England, English or London. They are hairy, unkempt, foul mouthed and prone to violence and the men are just as bad. These people just love a parade or a demonstration and they are always ready to erupt over any slight, real or imagined, the scene therefore was perfectly set for a right rammy, the Labour Group at our usual pre. Council meeting speculated on what would be “today’s snp stunt” as we always do. Flags sneaked in like wee Eck at Wimbledon was my guess, Patriotic singing was the choice of Comrade Alex.Murrin, a walk out suggested Comrade Derek Bibby, Spurious emergency motions which would allow the crazies to mention ‘freedom’ ‘Wallace’ ‘oor Wullie’ and ‘the Saltire’ was the guess of Comrade Roy Glen and at the very least a car park demo thought Comrade Eddie Devine, Council leader comrade Mark Macmillan and deputy leader comrade Mike Holmes observed wearing the kind of benevolent smiles which clearly indicated that they are above this kind of nonsense, "the loneliness of command" "uneasy the head that wears the crown kind of thing eh?.We sat in joyful expectation waiting for the cabaret to start, for the loonies to take over the asylum kind of thing. We waited, and waited, alas nothing happened, in fact such was their indolence that the referendum did not even rate a mention and 3 of their number peculiarly did not bother to show up for the meeting. This can only mean one thing, the Renfrewshire snp have given up on separation, the last meeting before the biggest vote in our lives as they keep calling it and to paraphrase T.S. Elliot “this is how it ends, this is how it ends, not with a bang but with a whimper”. The 2 items?, both carried, the city deal following a barnstorming speech by Comrade Mark MacMillan which just managed to stop short of fisticuffs but not before the snp tried to thwart the creation of thousands of jobs through the City deal by voting against it. The Gaza donation was granted following a hard hitting passionate speech by Comrade Mike Holmes who knows more about Palestine than Yasser Arafat did. 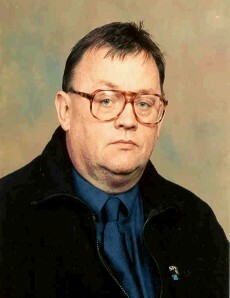 Tory leader Cllr. James Mclaren (he’s the lone Tory) protested against us giving money for medical aid for Gaza, he may well have thought though that Gaza was an injured footballer. All topped off by the wretched Libdem leader Cllr. Eileen McCartin (she’s the lone Libdem ) trying to amend the motion to remove the name Israel as the perpetrators of this terror and replacing it with “other parties”. Some people sit on the fence when a vote is taken about building a hotel or a Golf Club or changing the traffic flow but this woman, devout Catholic that she claims to be sits on the fence when we are voting on the murder of defenceless innocent children killed by War Criminals, may her God forgive her because I certainly won’t. The heading of course comes from Joseph Goebbels, Hitler’s cuddly wee minister of propaganda, some people have absorbed the famous saying, none more so it seems than Scotland’s first minister alex salmond. As the Better Together tanks start to park on the lawn of Bute House wee Eck has retreated in to the darkest bunker of the mansion, not unlike Goebells’s wee pal Adolph back in the day. in the same way as them wee Eck sends out scare stories in a frantic attempt to frighten people in to his yes camp. The fuehrer it is rumoured hectored his generals just before the downfall, stamping his feet, swivelling his eyes and roaring his defiance as he claimed that he would return and next time he swore he would win because as he reputedly said “next time there will be no more Mr. f*****g Nice guy”. Salmond is I believe on the brink of something similar. He has now come away with a Baldrick like ‘cunning plan’ involving the NHS, claiming that the only way of saving the NHS from privation is to vote yes in his laugharendum. The evidence he has for this is the privatisation going on in that cesspit England by those Engurlish b******s, he is also quite mendaciously implying that we here in Scotland have no truck with privatisation in our Scottish NHS, let’s check that one out shall we?. Recent information reveals that private sector involvement in the Scottish NHS has rocketed since salmond was elected. Audit Scotland informs us that under salmond’s government over the past 3 years £222 million has been spent on private care for patients here in Scotland, between 2007/08 and 2012/13 private health care has risen by 36% under salmond’s reign. There is no more emotive subject than the NHS nothing more guaranteed to scare vulnerable people than predictions of it’s privatisation and by creating these dishonest scare stories the First Minister demeans himself his party and his office. Over the years I have used the phrase “he can’t possibly get any lower” in relation to the awful things he has done and said but he has never been more desperate than he is now and there are 4 weeks to go so we will quite probably see worse from the politician ‘alex salmond’ the man who appears to have unlimited quantities of ‘rat like cunning’ and deceitfulness, don’t be surprised by anything he does next. THE SNP'S LIE FOR THE DAY. The two statements below appeared yesterday. “Honest John” Swinney turns out to as mendacious as his boss salmond. “The Scottish Government has had technical discussions with the Bank of England regarding our proposal for a currency union”. John Swinney SNP Government Finance Minister. ”The Bank of England has not entered into discussions with representatives of the Scottish Government about proposals for future monetary arrangements in Scotland.” Bank of England spokesman. "things fall apart, the centre cannot hold" W.B. Yeats. the whole referendum edifice in all it's absurdity looks ready to topple, can the yes camp remain standing until Sept. 18 Th. ?. SALMOND JUST LOVES STERLING. COULD THIS BE THE REASON WHY?. As workers all over the UK take industrial action over pensions we learn that Scotland’s First Minister alex salmond’s pension pot is worth more than 15 times that of an average public sector employee. Prime Ministers and Scotland’s first minister receive a special pension award and in salmond’s case it is estimated that he will trouser £700,000 as a result of this special award, worth every penny I hear you say, right?. Wee eck is never slow to criticise his great rivals like David Cameron and Gordon Brown, how ironic is it then that both these Prime Ministers voluntarily gave up this special award while salmond hangs on to his like “a scrapyard dog” fighting over a bone. It wouldn’t be (Del boy) salmond without the small print though would it. His reply to his critics is that the pension rules do not allow him to refuse to accept the money, you can almost feel his pain at having to keep the £700,000 can’t you?. He is now facing the full glare of the public’s mistrust, the ducking and diving, the lies, the sneering arrogance it has all built to a crescendo. The partying at the public’s expense at the Olympics, The Open Golf, the still missing £50,000+ from his last junket, it all adds up and the people are seeing him for the Shyster that he is, he even took his personal piano player and his two private chefs to America with him, enough surely?. I have a solution which will ease his anguish at having to take the special pension, while the rules prevent him from accepting it there are no rules which prevent him from giving the money back once he has got it, not the kind of thing he would ever think of perhaps but surely someone could suggest it to him? A close colleague perhaps or a political adviser, someone with courage. “ALL POLITICAL CAREERS END IN FAILURE”, ENOCH POWELL. “CAN AH TAKE MA TARTAN BREEKS WAE ME”, ALEX SALMOND. This is film of a debating contender before and after taking part in a very important debate, note his sneering arrogance and hubris, compare it with his embarrassing demise and crushing defeat after the debate, the acceptance that he is finished, blootered, completely gubbed. Any resemblance to any of Tuesday night’s Scottish referendum debate combatants is purely accidental. LLOYD QUINLAN, YES CAMPAIGNER MAKES AN ANGUISHED CRY FOR ATTENTION. PLEASE EXCUSE ME FOR SHOUTING FOLKS BUT F.F.S. YOU HAVE TO GET ON TO U TUBE AND TYPE IN THE NAME LLOYD QUINAN, CHECK OUT THE LANGUAGE HE USES TO DESCRIBE PARENTS OF CHILDREN WHO VOTE NO IN THE COMING REFERENDUM, YOU HAVE TO SEE THIS TO BELIEVE IT. HE IS A FAILED SNP POLITICIAN AND FAILED TV AND RADIO PRESENTER AND EX MEMBER OF THE SSP. HIS CLOSING REMARKS TO A YES CAMPAIGN MEETING WILL HAVE YOU REACHING FOR THE REWIND BUTTON AS IT DID ME. YOU MIGHT ALSO AS I DID PAUSE AGAIN AND SAY TO YOURSELF “DID I REALLY JUST HEAR THOSE YES CAMPAIGNERS AT THE MEETING APPLAUD AND CHEER HIS REMARKS?, AND LIKE ME YOU MIGHT REWIND AGAIN TO CONFIRM THAT YOU DID INDEED HEAR THESE YES CAMPAIGNERS CHEERING AND APPLAUDING HIM. AS THE DAY GETS NEARER WE ARE WITNESSING THE DERANGED CONDITION THAT SOME SNP/SEPARATE/CYBERNATS ARE DESCENDING IN TO AS DEMONSTRATED BY THIS RATHER LOOSELY WRAPPED CHARACTER, MAKE NO MISTAKE, WHAT YOU ARE SEEING IS A MAN ON THE EDGE. HE ‘USED TO BE A CONTENDER’ NOW HE’S THE YES CAMPAIGN’S VERY OWN ‘ARCHIE RICE’. AS I HAVE SAID MANY TIMES THIS IS GOING TO END IN TROUBLE, WATCH THE CLIP AND CONSIDER THIS, IT WAS PUT UP YESTERDAY AND AS YET NO ONE FROM THE snp OR THE YES CAMPAIGN HAS SAID ANYTHING ABOUT IT.